Elimu approaches challenges from both a clinical perspective and an informatics perspective. 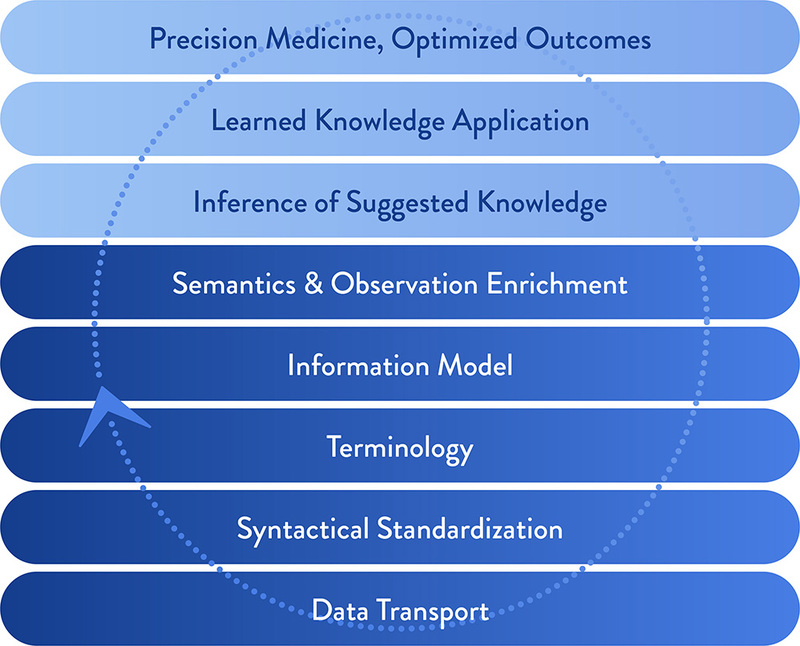 The Disease Management Lifecycle guides our clinical perspective while the Data to Knowledge Foundation drives our informatics perspective. The Disease Management Lifecycle guides Elimu’s clinical approach, enabling us to apply knowledge at the correct point of care. Value sets, data normalization, machine learning, and FHIR are all great tools, but where and how do they fit into a clinical workflow to drive better outcomes and meet other clinical objectives? 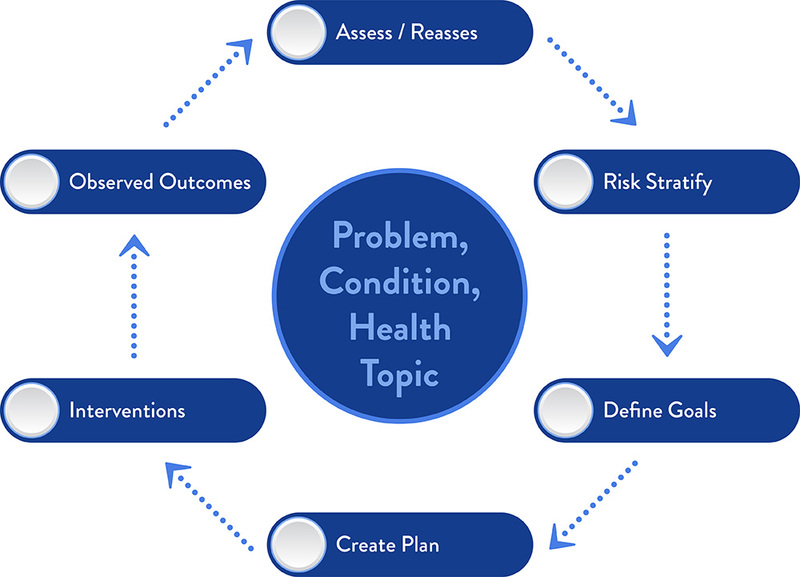 The Disease Management Lifecycle provides a framework for leveraging knowledge and invoking the “five rights” (right information, to the right person, in the right format, through the right channel, at the right time in workflow). The Data to Knowledge Foundation drives Elimu’s informatics approach, enabling us to turn data into knowledge. At the bottom of the Foundation sits data. As that data is normalized against defined terminology and information model specifications, it becomes amenable to enrichment. Inferences can then be drawn from the enriched data, and those inferences can be applied in personalized ways, to optimize care. This is an iterative (“learning”) process, where data is continuously driving the data to knowledge process. Consider pharmacogenomics as an example. Data (e.g. patient genotype and phenotype) are obtained, communicated per specifications (e.g. HL7 FHIR, RxNorm, SNOMED). Inferences (e.g. genome-wide association studies) can suggest drug-gene associations. These associations can be deployed through an application (e.g. pharmacogenomic clinical decision support) as a way of personalizing care. While many contribute components to the Data to Knowledge Foundation, Elimu will ensure that all the building blocks are cohesive, and that the gleaned knowledge can be deployed towards clinical objectives.